"The writer of this article, Mrs. George Lotzgesell has been a resident of Sequim, Dungeness and Port Angeles from 1881 to 1933, and now resides in Port Angeles, Washington, the second cIty of the United States to be platted by a President. The manuscript was secured through John A. Lotzgesell, 1304 42nd. Seattle." 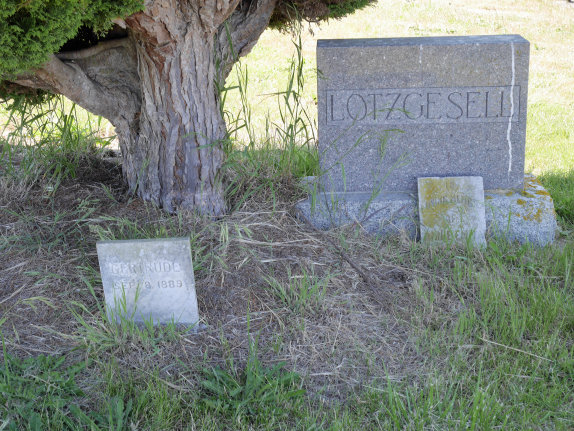 "In 1889 Mr. George Lotzgesell, Sr., who was always known as "Gran Father Lotzgesell" donated a tract of land, part of his large farm, to the county to be used as a burial ground for the settlers, the following year this was cleared and fenced by his son, George Lotzgesell, Jr. Later this cemetery was taken over by the younger branch of the old settlers who have since organized a company to manage the affairs of selling the plots and keeping it in respectable care." This differs from the historical information below. 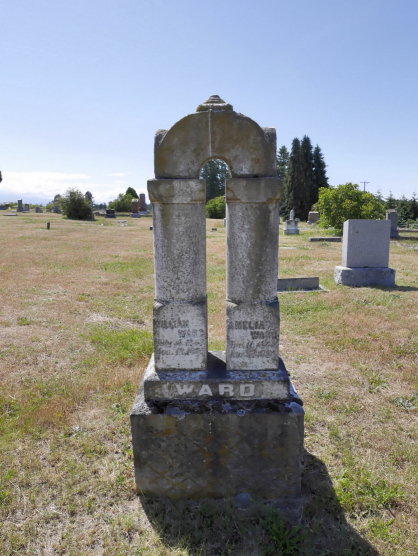 Dungeness Cemetery is a pioneer cemetery that was gifted to the community of Dungeness from George A and Gertrude Elise Lotzgesell and Arthur W. and Fannie E Cays in 1888. 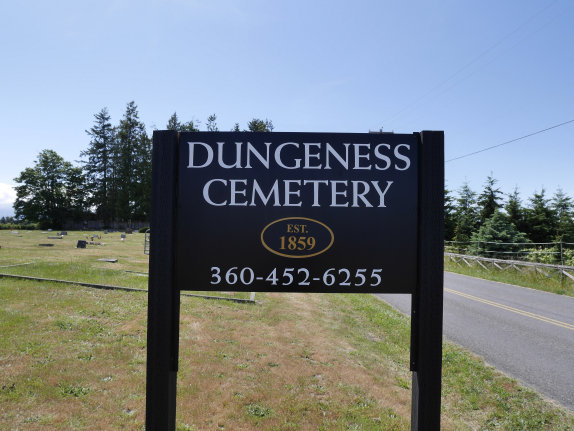 Dungeness has a beautiful view of both the Sequim Valley and Olympic Mountains to the south and the Straits of Juan De Fuca to the North.